Kristy Bolsinger | I am angry. I am hopeful. A personal request for support. I am angry. I am hopeful. A personal request for support. 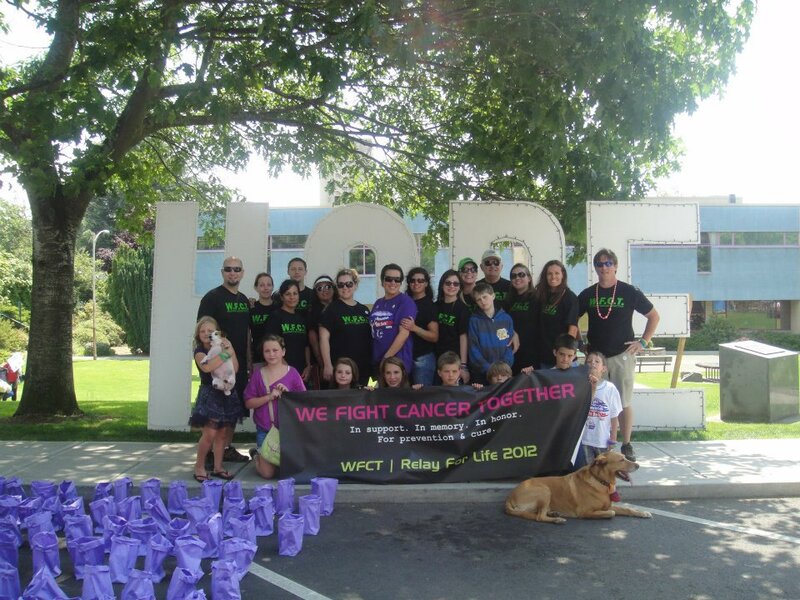 A year ago my family and I helped to raise nearly $10,000.00 for Whatcom County’s Relay for Life benefiting the American Cancer Society with a fair bit coming from readers of this blog. The event itself was inspirational and heart warming. We closed out our fundraiser feeling hopeful and full of love. If you remember my post from a year ago, my family has battled cancer on many fronts – that battle continues. This year I return to the Relay for Life fundraising feeling differently, however, than I did last year. This year I’m angry. I am angry that my mother had to battle this disease. Three times in a row. That my grandfather and aunt had to as well. I am angry that I have had to watch my 37 year old cousin fight for her life with next to no help from any available treatments. She fought through countless rounds of chemotherapy and radiation. And then did it again with new chemo drugs and radiation treatments when those weren’t working. When it was clear that those traditional methods weren’t going to be effective she was left with very little choice. I’m angry about that. She made the choice to enter into a clinical trial at the Seattle Cancer Care Alliance in hopes that a new trial drug would be able to calm the aggressive cancer she had been battling for nearly two years. I’m angry that that did not work either. I’m angry that she had to suffer through “treatments” that were anything but. I am angry that her three beautiful daughters have to watch their mom go through this. I am angry that her mom has to watch her baby go through this. I am angry for my family. I am angry for her fiancee. I am angry for her friends. I am angry for me. More than anything though I am angry that we don’t have more options. I’m angry that this is as good as we can do…? With as much anger as I have for all of this I have not lost hope. I have hope that with every dollar we raise we bring more people further away from this anger and closer to healing light. If you have been touched by cancer in some way then you surely know well both the hope and the anger I feel. And you also know how important finding a cure is. Please help support the cause if you are so inclined by visiting my team’s page: We Fight Cancer Together. I just wanted to let you know that my wife and I will be praying for you and your family. @dr_pete passed along this message to us, and I was truly touched when I read your story. I’m not gonna try to push my religion over on you, but I know that God had me read your post here for a reason and I know we’ll be praying for you. I wish you and your family the very best. May God be with each of you through this time. Thanks for stopping by. Your support and kind words are very much appreciated. As are the prayers. Thank you very much!! I’m saddened and will also be praying for your cousin. Right now, I have 3 very close people in my life fighting cancer, 2 are new and recent and unexpected. One friend lost a breast and went through chemo while pregnant 8 years ago, yes, while pregnant. She has pursued everything western medicine can provide and has added a number of alternative treatments to integrate with her treatment plan. These alternative treatments are making a difference and giving her extra time and relief. I don’t know if your cousin has seen or is near a good naturopath who specializes in cancer, but it’s never too late. May your anger spark more of us to give and support and stand along side those who fight! I’m so sorry for you and your loved ones. It’s such an awful disease that does not discriminate. I cannot image going through this period, let alone while pregnant I’m excited to read she’s experiencing some success. There are so many alternative treatments out there that don’t get the attention they deserve. Sadly I believe it’s because there just isn’t the money there. Hi, Kristy! I am so sorry that your loved one have had to fight this terrible battle. I hope that your walk goes well and that you are able to raise a lot of money. I wanted to recommend the book “The Emperor of All Maladies” by Siddhartha Mukherjee. It came out a few years ago. It is a biography of cancer, through the ages, what we know about the disease from early human history until now, and the history of treatments for cancer. It’s truly fascinating reading. Kristy, I too hate that we all are going through this. Everyone’s stories are different. The heartache, sadness and difficulties continue to mount – while the options for treatments, therapies and options disappear. You’ve been a great sounding board for me over the past couple of years with all of this – and I hope you know that’s a two way street. It’s easy to be angry. But it’s much more challenging to own that emotion and respond with an effort like you’re putting together here. I’m proud of you!